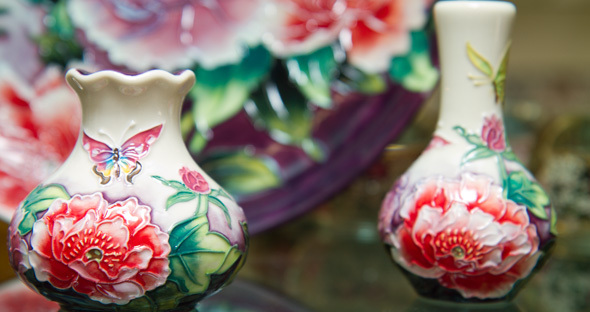 We have a very good collection of china and glass to suit all tastes. 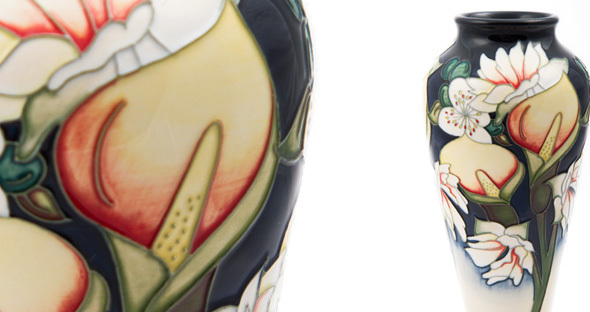 We are one of a handful of proud stockists of Moorcroft; a beautiful range of pottery, handmade in the UK. 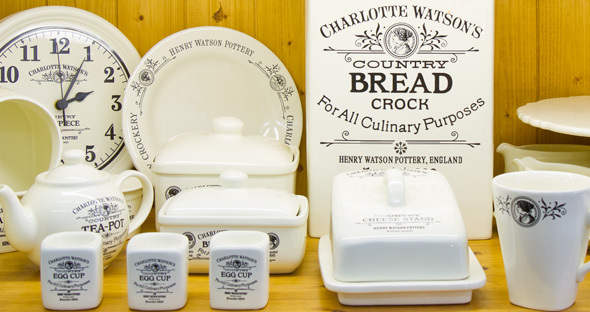 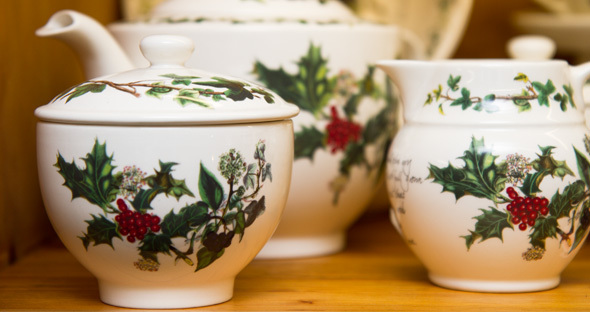 We also have a great selection of Old Tupton Ware, Border Fine art, Robert Harrop, Portmeirion, Emma Bridgewater, Poole Pottery, Franz and Hidden Treasures. 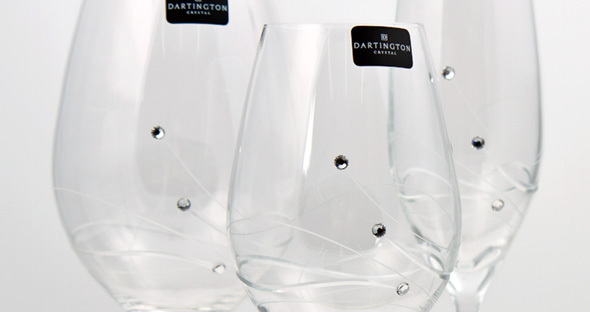 Alongside our china craft we have a wonderful selection of glassware including the Glitz range from Dartington Crystal – a delicate range of crystal glassware finished with Swarovski and Glen Eagles Crystal.